Making your journeys safer...because we care for you. Well-maintained tyres are usually the difference between a safe drive and an ill-fated one. Whether it’s braking or handling, tyres play a pivotal role.In fact, they are the only part of your vehicle which comes in contact with the road and ensure safety. But sadly, they are usually the last element to be cared for in a car. 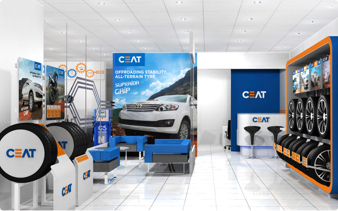 Knowing how easily they could be neglected, we, at CEAT, have created a one-stop solution for all your tyre related concerns - CEAT Shoppe. Equipped with latest tools and machines, along with experienced technicians, CEAT Shoppe offers extensive care to your tyres to make your drives safe and comfortable. 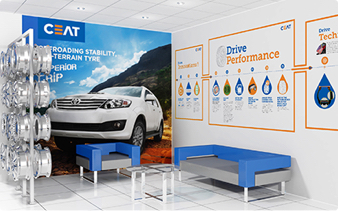 Latest tools and highly qualified technicians ensure that the tyres get best overall care at CEAT Shoppe. 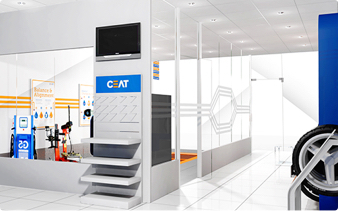 CEAT Shoppe makes use of state-of-the-art machines to properly balance the wheels. This ensures enhanced tyre life, precise steering response and a comfortable ride. 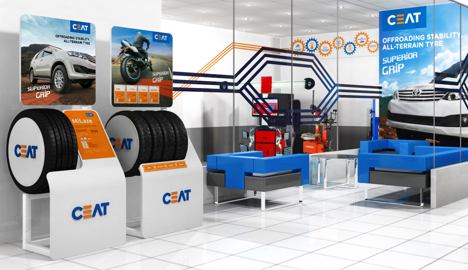 CEAT Shoppe uses LASER and 3D Technology to accurately align the tyres. This helps in reducing uneven tread-wear along with better steering control by preventing vehicle from pulling to one side, thereby making your drives safer. A tyre inflated with nitrogen is less likely to deflate quickly due to low permeability of the gas. Also, it helps in keeping the tyre cool, especially over long highway runs and prevents blowouts. All CEAT Shoppe outlets are equipped with Nitrogen gauges that inflate tyres with at least 95% pure nitrogen for best results. At CEAT Shoppes, we work towards providing an enriching experience to our customers & best services at all times.